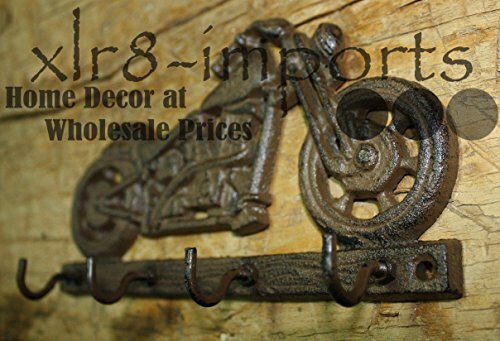 Here’s a great cast iron coat hook. Made just like the hooks of the past. These have the same look of the antiques, but at a much lower price! Measure approx. 4 1/4″ tall top to bottom, 7 3/4″ wide, 1 1/2″ from the wall to the front. This item has 2 holes for easy hanging. These do not include screws! Great item for re-sale or for those restoration projects. This item was manufactured to look antique, expect some built in imperfections. Satisfaction GuaranteedMade just like the hooks of the past. These have the same look of the antiques, but at a much lower price!